We've heard the word change thrown around so much in the past 4 years that we're becoming numb to the word. However, (politics aside) change does happen and it happens every day in the world of business. Seth Kahan's book Getting Change Right explains how true visionary leaders steer their companies in the right direction and how these lessons can help you. 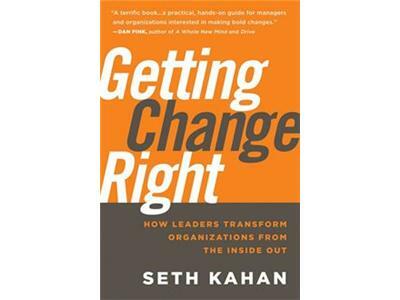 Seth Kahan is the author of Getting Change Right: How Leaders Transform Organizations from the Inside Out. 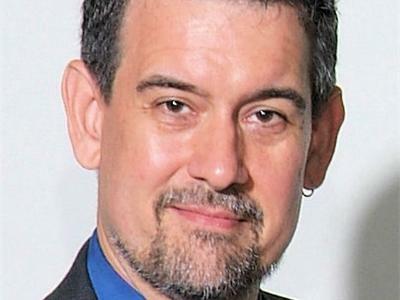 He is also a columnist for the Washington Post and manages a blog with Fast Company. As a world-class authority on change leadership, he helps visionaries engage their creative abilities for large-scale change. He has worked directly with the President of the World Bank, Director of the Peace Corps, Senior Managers of Shell Exploration and Production Co, and CEOs of many associations. In 2002 Seth was designated a Visionary by the Center for Association Leadership for the work he did at the World Bank as a member of the small team that won international recognition for successfully making the Bank one of the world's Most Admired Knowledge Enterprises. In 2009 he received Board Approval in the field of Change Leadership by the Society for Advancement of Consultants, recognized as an exemplar and thought-leader. Since 2002 he has worked for over 50 organizations. Seth works with over 25,000 professionals every year in conferences and professional seminars. His ability to teach techniques that improve professional collaboration has won him high regard.